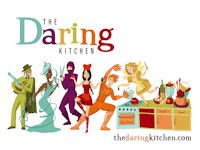 This past weekend I hosted a French themed dinner party. 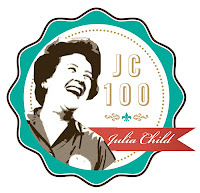 I used my culinary hero, Julia Child, as my inspiration...with my own twist. 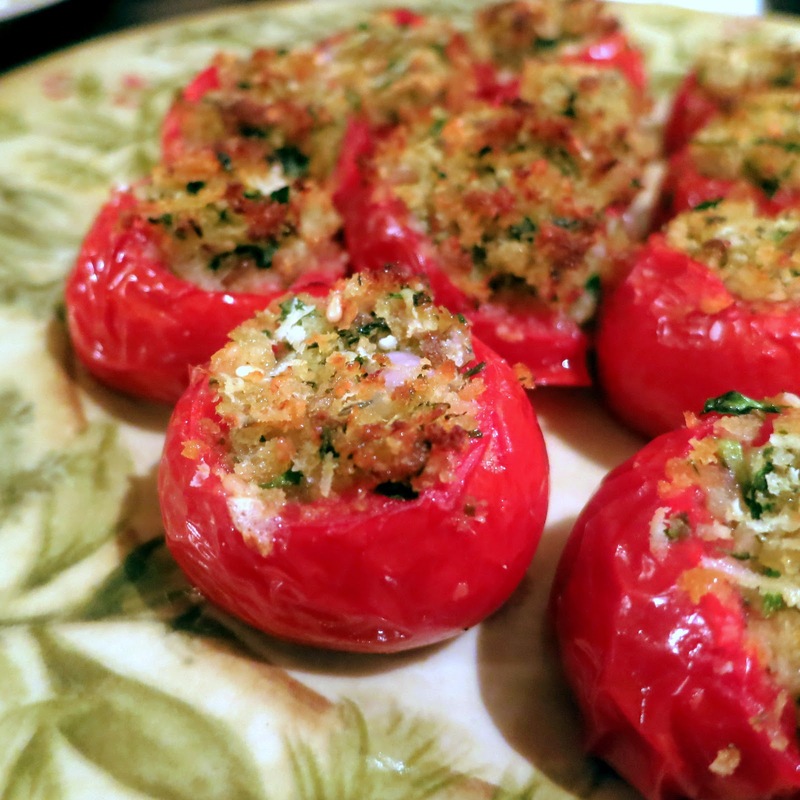 I decided to make this classic side dish into an appetizer by using cherry tomatoes. These little jewels were served before we sat down to dinner and there was not one left behind. They come together quickly and the taste is incredibly fresh. Enjoy! 1. Set a rack on the upper-middle level and preheat the oven to 400 F.
2. Cut off the top of the tomatoes and over a plate or bowl, squeeze each tomato gently to force out the seeds and juice. With your fingers, clean the cavities of any clinging seeds. Arrange in the mini muffin pan cut side up. If any are wobbly or tilted, trim a bit off the bottom so that they sit flat in the pan. Season with a sprinkling of salt and freshly ground pepper to taste. 3. 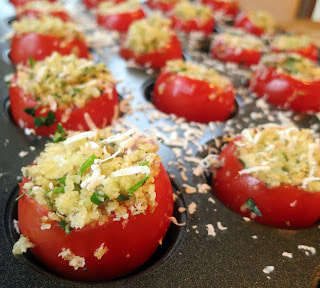 Stir together the bread crumbs, shallots, dried herbs, grated cheese, and chopped parsley in a small bowl. Add 3 tablespoons of the olive oil, tossing well to moisten the crumbs evenly. 4. Spoon the stuffing into the tomato halves, pushing it down into the cavities and mounding on top. Drizzle a scant teaspoon of olive oil over the top of each tomato. 5. 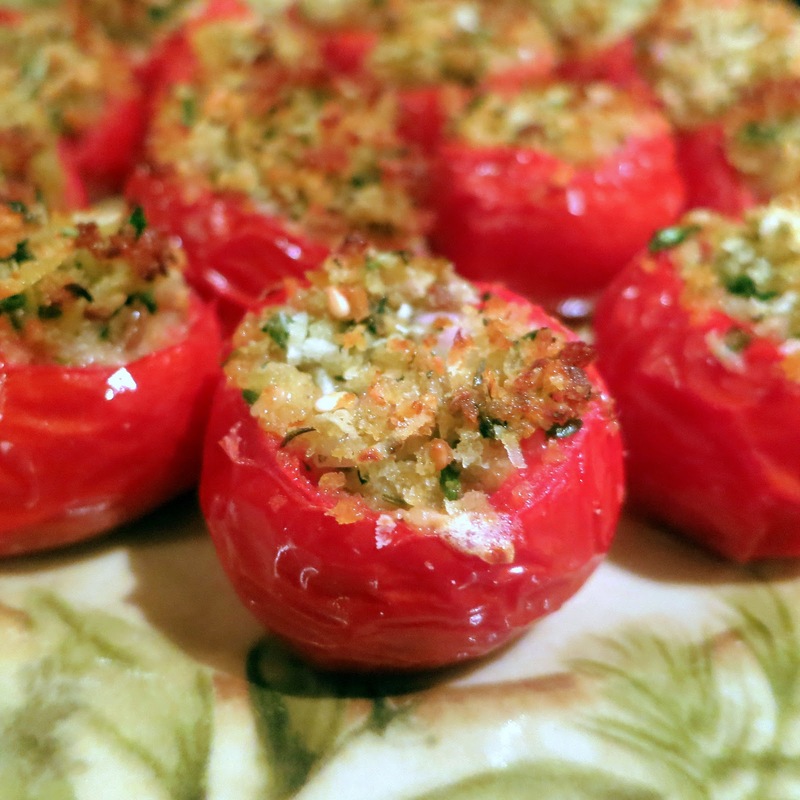 Bake for approximately 10-12, or until the topping has browned and the tomatoes are hot but still keep their shape. Serve hot. These look delicious. I think I'll try to make some over the holidays.